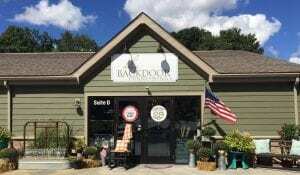 I’m Laura Glatz and I am the owner of The Backdoor Furnishings. We are a Stockist for Chalk Paint® decorative paint by Annie Sloan… carrying a full line of Annie Sloan and General Finishes products. We enjoy recreating and repurposing unique, charming, custom painted finishes on furniture, lamps, floors, cabinets, and just about any surface you can think of! Our passion is to re-create, repurpose, and bring life back to aged pieces. Our finds are selected to fit into all types of decor! My very favorite is working with our guests as we guide and instruct those who are new to, or have been painting with Chalk Paint® by Annie Sloan. We strive to grow in continuing education, training under the Annie Sloan team as we bring new and fresh techniques home to our studio. We work together with, and are dedicated to our customers, as we strive to educate those with Chalk Paint® by Annie Sloan. Our team is excited to grow with the trend. We devote much time into continuing educational courses with the very best trainers from the Annie Sloan team! CHALK PAINT® decorative paint by Annie Sloan has changed our vision of up-cycling aged furniture, Cabinets, Mirrors, lamps, shades, glass, concrete, metal, laminates and so many more surfaces!! 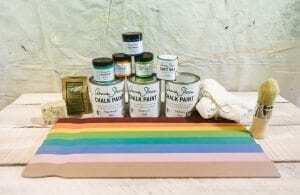 It has been a pleasure to work with Chalk Paint® Decorative paint by Annie Sloan! I am so happy to see others re-using and repurposing existing pieces in their homes, and creating a fresh look to pieces that otherwise would be thrown to the dumpster. Let us show you all about this amazing product!! Once you learn the techniques, it won’t be long before you too will be hooked! !